Dr. Isaac Schechter is an internationally recognized leader in behavioral health care and research of the Orthodox and Hasidic Jewish Community. He is Chief Clinical Officer, and founder of the Center for Applied Psychology (CAPs) at Bikur Cholim. CAPs is one of the largest and most innovative providers of the full range of behavioral health services for the Orthodox and Hasidic Jewish community with multiple branches across Rockland (Monsey) and Orange (Monroe). CAPs is now one of 70 centers across the US designated as a federal Certified Behavioral Health Center to create the models for the next generation of behavioral health care. 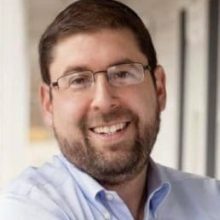 Dr. Schechter is also the founder and Director of the Institute for Applied Research and Community Collaboration (ARCC), a center for action research and collaboration about the health, behavioral health and social issues of the Orthodox Jewish community. His pioneering research in many topics from dating, marriage, divorce, medical decision making, community health, is cited and used widely in clinical, communal and religious practice. His collaborative work spans a wide range of academic, medical and clinical centers as well a the gamut of Orthodox and Hasidic institutions, Yeshivas and communities.